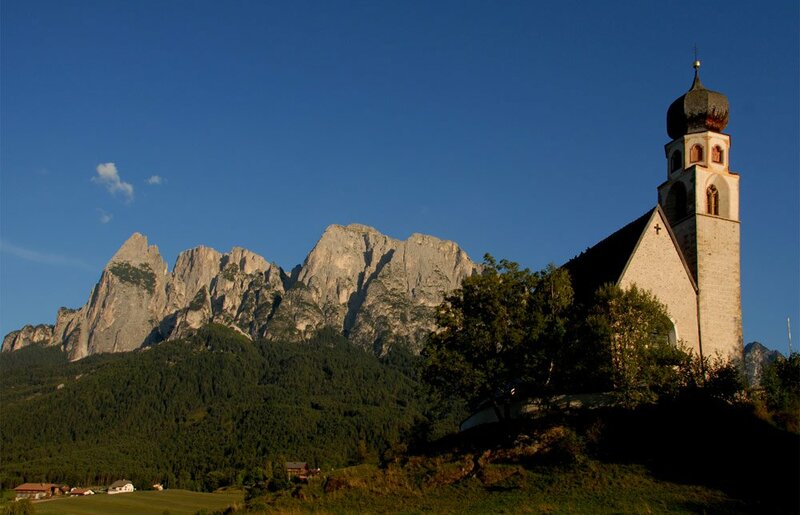 Only 3,5 km from the MESNER FARM you find the funicular that takes you to the largest alpine pasture in Europe – the “Seiser Alm”. 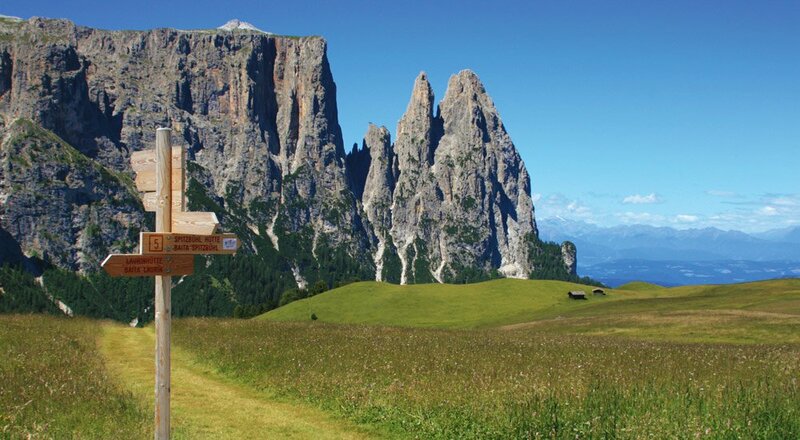 It takes the “Seiser Alm funicular” only a few minutes to take you where the beauty of Nature can be touched with bare hands …. 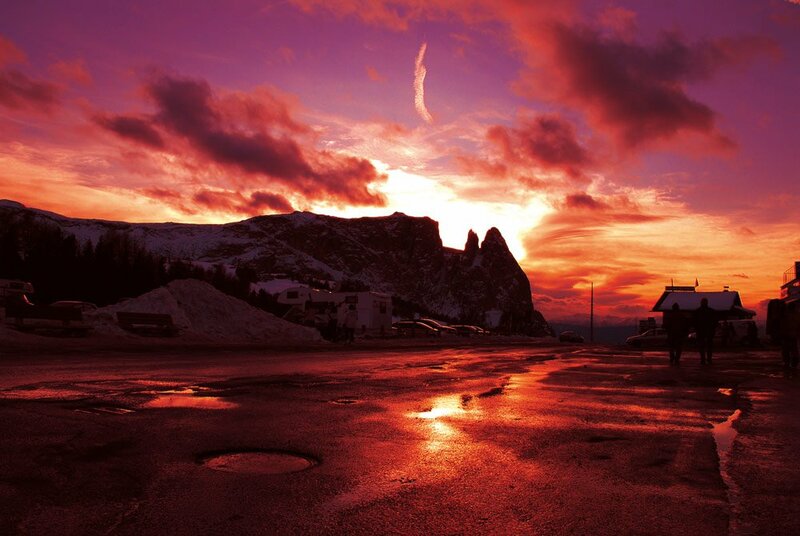 The „Seiser Alm“ offers in each season a maximum of enjoyment and freedom of movement. The well-known festival, the so called “Kastelruther-Spatzen-Fest” in October, attracts each year thousands of fans of the famous local band. And with a bit of luck, you may encounter on or the other member of the band while he is hiking or doing his grocery shopping. The new Golf Course in Seis can be easily be reached on foot, by bus or car. With such a beautiful panoramic view as a backdrop, it can easily happen to forget, that you actually came for playing a round of golf. It takes only 20 minutes to reach Lake Völs. 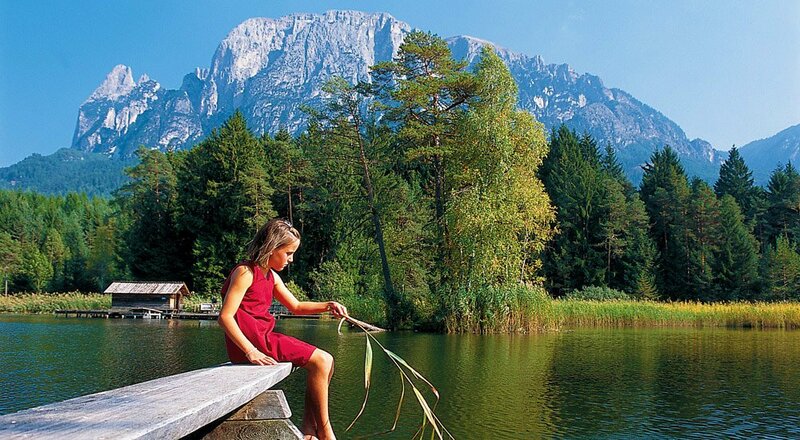 The lake is wonderful for swimming or ice skating in winter but also an excellent starting point for excursions to the „Schlern“ or to a mountain pasture, called „Tuffalm”, which was awarded he title” Most beautiful Alpine Pasture in South Tirol” in 2007. 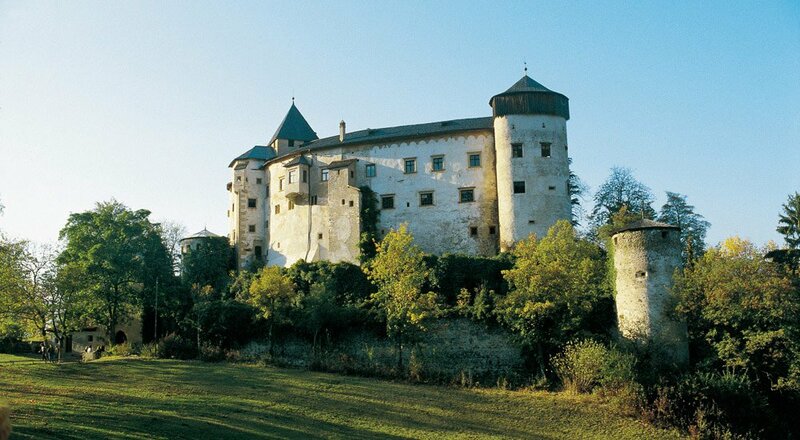 Visit the „Grödnertal“ and admire the craftsmanship of the Craftsmen from Gröden, visit the castle in „Prösels“ or drive to Bozen, the regional Capital, that lays just 15 km away and stroll through its enchanting streets. 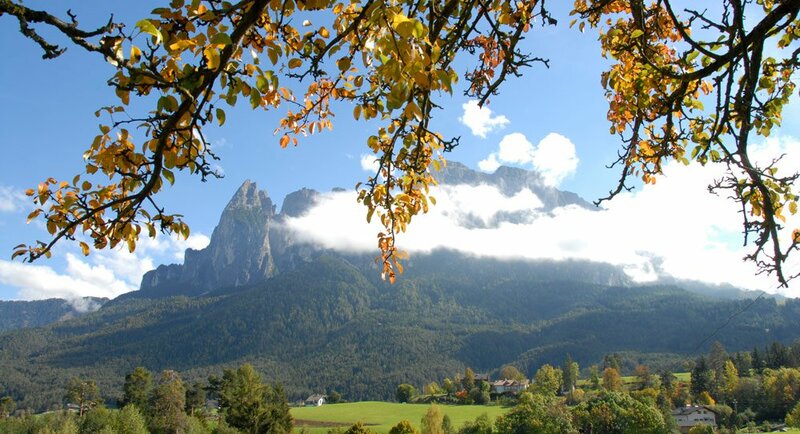 Here you will find many cultural treasures, like the Ötzi Museum, the Messner Mountain Museum…. Also the city of Brixen, where the bishop resides, is worth a visit and offers many important sights, besides the typical atmosphere of a medieval city. Our farm is situated next to the romantic chapel of St. Constantine in an idyllic location between Siusi allo Sciliar (about 3 km) and Fiè allo Sciliar (3 km). The village of Castelrotto is only a few minutes’ drive away. Enjoy shopping, strolling, walking, and a visit to the weekly market or the church. Siusi allo Sciliar, the spa village Fiè allo Sciliar and Castelrotto invite you to a variety of leisure activities. In the summer, shops are open MO – SA from 8.30am to 12.30pm and from 3.30pm to 7.00pm. In the winter, shops are open MO – SA from 8.00am to 12.00pm and from 3.00pm to 6.30pm. The Alpe di Siusi cable car is located 2.5 km from the farm Mesnerhof. In the summer, more than 350 km of hiking trails await you here; and in the winter, you may enjoy over 150 km of ski slopes. The lake of Fiè can be easily reached in 25 minutes by foot. With its unique setting it offers a popular swimming destination in summer and ice-skating venue in winter. The public transport network is very well developed in South Tyrol. The bus stop is located about 200 meters from the farm Mesnerhof. Every 30 minutes, a bus takes you to Bolzano, Fiè, Siusi, and Castelrotto.